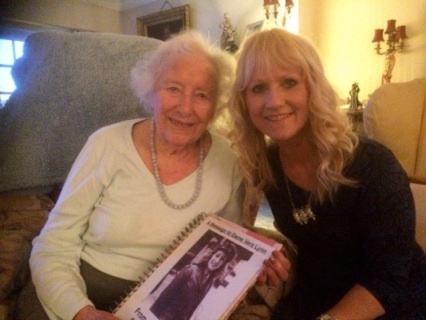 "Vera Lynn, Lorrie Brown, had the guests on their feet dancing and singing." 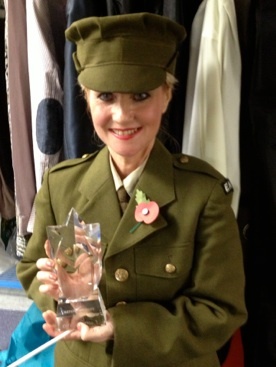 ‘A Salute to Vera Lynn, was wonderfully conceived and presented it was a pleasure to watch. 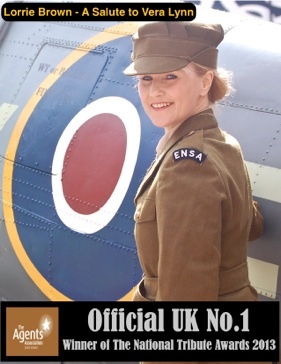 Lorrie Brown is one of the country’s most experienced Vera Lynn tributes. She started her tribute in 1995 and has performed in in many diverse venues including theatres, hotels, homes and football stadiums. and many of the old singalongs loved by all. The show runs for 50 mins. Lorrie’s voice is perfectly suited to the beautiful melodic songs of a bygone era. Lorrie is quickly gaining a following on the lunchtime hotel circuit at Best Western Hotels around the country. regularly selling out, especially on the build up to Christmas. show in the local residential homes. She was recently asked to perform in front of the Chelsea Pensioners at their hospital in London. Her recent TV appearances include SKY TV, GMTV, YTV’s CALENDAR and an appearance in a 1940’s TV special on YTV. Lorrie’s warmth and personality added to her beautiful voice make her a great favorite with fans of the 40’s music.